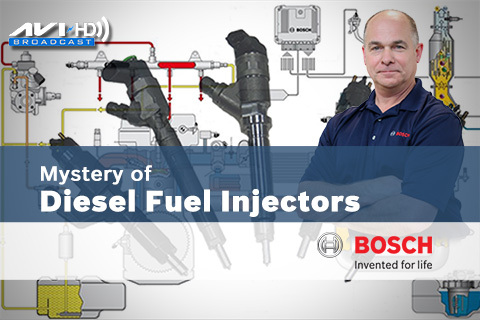 ARCHIVED HD BROADCAST – Did you know that a common rail fuel injector can open over a billion times in its service life? A diesel fuel injector can also open and close over 10,000 times a minute and must deliver 3.0 mm3 of fuel (Half the size of a pin head) through a 0.25 mm2 space, in less than 2.0 ms, while traveling at the speed of sound. 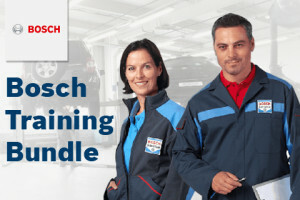 This HD Streaming event, sponsored by Bosch, will provide a high level overview of Bosch Diesel fuel injectors and injection systems, with a focus on the various fuel delivery methods. 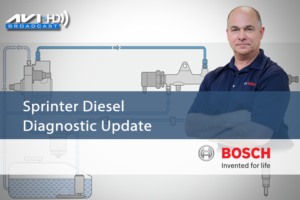 You will learn why fuel injectors need to accurately deliver fuel to prevent issues with other components and diagnose drivability concerns related to faulty injectors. 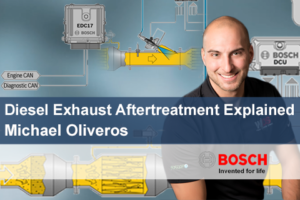 The seminar will include a review of common diesel emission components that suffer from incorrect fueling including the Diesel Particulate Filter (DPF) and DeNOx Selective Catalyst Reduction (SCR) systems.